Online professional development contact hour and clock hour- pd courses for teachers in Arizona to renew a AZ teaching certificate. Course packages combine multiple self-paced seminar replacement courses in which you study the course content and complete a quiz in order to earn a certificate of completion. Course packages typically offer a savings of 20% or greater compared to enrolling in the courses individually. The Arizona Self-Study Course Package 90 includes EIGHTEEN self-study courses adding up to 90 hours of professional development. Click the Learn More button or the Buy Now button to see a complete list of courses in the package. The Arizona Self-Study Course Package 60 includes TWELVE self-study courses adding up to 60 hours of professional development. Click the Learn More button or the Buy Now button to see a complete list of courses in the package. The Arizona Self-Study Course Package 30 includes SIX self-study courses adding up to 30 hours of professional development. Click the Learn More button or the Buy Now button to see a complete list of courses in the package. This package includes the following online teacher classes – Accommodating all Learners, Classroom Management for Positive Behaviors, Reading across the Curriculum, Recognizing Early-onset Mental Health Disorders in Children and Adolescents and Introduction to Technology for Teachers. The following online classes for teachers are included in this package – Cognitive Skills: Understanding Learning Challenges, Introduction to Autism, Tackling Tough Text, Technology in the 21st Century Classroom and Transformative Classroom Management. The following online classes for teachers are included in this package – Common Core Enhancing Instruction, Accommodating ALL learners using UDL, Suicide Prevention, Reading Through Technology and Internet Safety. This package is made up of 5 five-hour online courses covering Classroom Collaboration, Classroom Organization in the 2st Century, Flipping Classrooms, Inquiry-based Learning and Standards-based Instruction through STEM. This package is made up of 5 five-hour online courses including the following topics, cognitive skills, accommodations, UDL, differentiation for gifted learners and IEPs. This package is made up of eight five-hour online courses addressing standards, assessment, evaluation and covers the Common Core, a great addition to your teaching tool kit whether your school is implementing Common Core or simply looking to improve student performance. This package is made up of online courses in the following areas: Recognizing and Preventing Child Abuse, Internet Safety, Bullying-The Golden Rule and Ethics for Education Professionals. This package is made up of 5 five-hour online courses addressing recognizing early-onset mental health disorders, autism, ADHD, bullying and suicide prevention. This package is made up of 5 five-hour online courses ranging from an introduction to technology to technology in the 21st century classroom including internet safety, iPads in the classroom and apps in education. Self-paced seminar replacement courses in which you study the course content and complete a quiz in order to earn a certificate of completion. Addressing accommodation, modification, and adaptation of curriculum, materials, and instruction to appropriately meet the needs of teachers and a variety of students. Make teaching ALL students a very real possibility with the Universal Design of Learning (UDL) framework. This structure builds on research findings that show how a single teaching approach has very limited results on student learning and highlights the need for a new curricular approach in which a learner’s level of recognition, strategic, and affective networks are all taken into account to determine the best means of teaching. This course is designed to equip teachers to initiate action research for potential areas of improvement in a classroom or at the school level. Through this course, teachers will be able to learn how to go about each step of the action research process from selecting the area of focus, gathering and interpreting data, setting up an action plan, and finally presenting the findings in order to help others. Teachers will be equipped to go beyond using an app merely because someone else has recommended it and fully examine the true learning potential. The integration of apps into education, may seem like a natural product of the times. However, successfully impacting students’ learning, requires a whole new level of teachers’ engagement and effort. Assessment is an essential part of learning. It helps teachers and students determine to what extent education goals are being met. This course familiarizes teachers with the strategies and methods that are available to help make assessments meaningful and useful tools. This course also shows teachers how to improve learning using various low-tech and high-tech Assistive Communication devices. It instructs teachers on how to identify and choose suitable devices and how to explore the laws promoting and supporting the use of these devices in the classroom. Teachers will also gain a clear understanding of their role in the evaluation and implementation of Assistive Communication technology in the classroom. The suggestions, ideas and templates provided in the course will help teachers confidently apply these strategies in the classroom. Enhance students’ learning experiences by developing strategies and initiatives that benefit entire schools. Teachers will be introduced to a range of successful strategies to collaborate at a wider level to address learning issues faced by schools, and implement corresponding, well-designed interventions. Providing a new and fresh direction that helps teachers understand the basic principles of art and design while applying these in planning and creating bulletin boards that reinforce learning in the classroom. The goal of this course is to help teachers understand the different aspects of bullying and to provide recommended strategies and techniques to deal with both victims and bullies. Enables teachers to help students respond effectively to verbal comments. Includes video role plays that model and demonstrate methodologies. Teachers will be introduced to the basics and fundamental facts of child abuse and neglect, its types, indicators and risk factors. The course primarily aims at educating teachers on the abuse, its legal implications and the legislative statutes addressing them in their role as mandatory reporters. Explore the benefits of using teamwork as a key element in K-12 classrooms, along with successful strategies to involve students in the various aspects of collaborative instruction. Building on a strong research base, this course empowers teachers to understand and implement effective practices of collaboration in their own classrooms. As educators, we want to be able to ensure that all students have access to a positive school environment that is conducive to learning. Classroom Management for Positive Behaviors presents an instructive approach that ensures creating this environment with efficient behavioral practices and interventions in order to support academic success. This concept uses prevention to reduce new problem behaviors from occurring and eliminates the problem behaviors that already exist. Effective classroom organization aids teachers as they strive to make their lives and classrooms more structured and a lot less stressful. The ideas in this course present effective ways for teachers to be organized with practical steps in planning enabling teachers to avoid last minute time crunches. Information and skills essential to the process of Cognitive/Peer Coaching in their school. Learn about the process of Cognitive Coaching, the roles and responsibilities of the coach and the coachee and how to implement this process in your school, reaping multiple benefits for the school, teachers and students. Discover methods for detecting weak cognitive skills in students and strategies to strengthen such skills. For students graduating from high school to be fully equipped and college and career ready, they must possess high standards of academic and behavioral skills. Learn the scheme of implementing the Common Core State Standards as a successful strategy to address what students are expected to know and be able to do when they have graduated from high school and prepares them for life outside the classroom. Teachers play a critical role in identifying those who are struggling to learn and succeed in academics and intervening with help. This is even more critical as students are exposed to higher standards with the adoption of Common Core by states and school districts. Empower students to face the dynamic world around them with confidence, by implementing novel ideas in curriculum development, within classrooms. With this framework, teachers are equipped to create powerful, yet practical plans that enable students to learn more effectively. Better understand gifted and talented education by learning how to identify, instruct and assess these students. 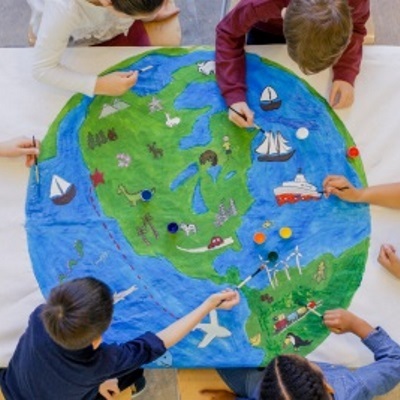 Create a welcoming environment that ensures English Language Learners thrive educationally through the integration of useful research based strategies that promote student engagement with the lessons and curriculum. Bring and maintain high standards of ethics into our schools. Includes a variety of topics to explore practical ways of addressing ethical decisions in our lives. Understand effective and dynamic methods by which teachers can assess student work. Learn to examine student work through a process of intentional reflection with other teachers. Engage with other teachers on improving educational practices through critical evaluation of student work samples. Explore how you can use technology to effectively ‘flip’ your classroom and enhance your students’ learning experience. The resources, examples and templates presented in this course help teachers to plan and create efficient flipped classrooms. Educators are shown how to integrate content while collaborating effectively with students, co-workers and school leaders. Respond to the needs of students and shape instruction through the use of formative assessments. Teachers learn the basics of fundraising for the classroom. It helps teachers understand the fundraising process by going through key aspects like sources of funding and effective ways to budget and plan. Secure the best-suited funds to enrich the classroom or develop the skill of grant writing. Teachers can rise above budget constraints and think outside the box, developing students and growing professionally. Develop students’ independent reading skills in the classroom, through the process of guided reading, while also promoting comprehension, critical thinking, problem solving, intellectual skills and interpersonal communication. The goal of this course is to help teachers understand the IEP process and build the teachers comfort level in developing, aligning with and carrying out the IEP through rich examples and templates to help teachers understand and practically use the recommended strategies in a classroom setting. The Inquiry-based Learning course details some models that teachers can adapt to meet specific needs of their class, as well as to monitor and enhance the learning of their students. Teachers learn practical and dynamic ways of evaluating their students’ progress while also incorporating technology for better results. Untangle what turns out to be the not-so-mysterious language of today’s teaching and learning and put successful strategies, including the Common Core, into practice. There are multiple ways in which we are responsible for protecting children. Today’s online world magnifies those opportunities as well as complicates them in ways in which we must be aware. The goal of this course is to increase your awareness of how students today are using technology, as well as helping you understand the risks of the online world. Teachers will be equipped with strategies and ideas to talk about internet safety to students in their classrooms. Understand what learning and interactions are like for a student with Autism while also learning to accommodate and teach students with Autism in the classroom. Gain confidence in navigating the Internet and using technology in teaching and learning. You have iPads in the classroom. Now, what do you do with them. This course will introduce you to the pedagogy of using iPads to improve student learning in your classroom. This course provides an in-depth understanding of the language acquisition process to enable educators to successfully teach English Language Learners. Teachers integrate smartphones, tablets, iPads, Kindle and more into everyday classroom activities while achieving learning targets. In this course, teachers learn to create technology-based lesson plans, activities and assessments that incorporate mobile devices. Bridge communication gaps with useful strategies to employ while facing common challenging situations in working with parents. Aimed at propelling teachers toward growth and improvement, this course presents peer review as an easy-to-apply model of wholesome teacher evaluation. Teachers will be equipped with practical strategies and tools so they can engage in systematic assessment of teaching performance. 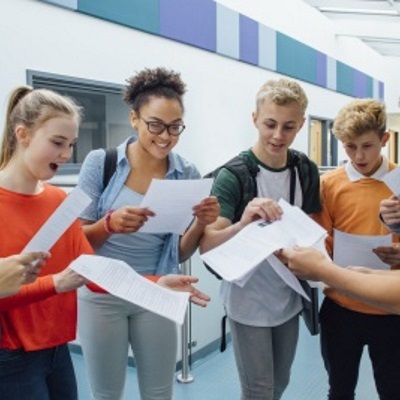 Teachers are the strongest and most influential link between high school and college for every student, and are often the best people to guide students in the endeavor to become college and career ready. This course will examine the details of mastering the current needs of students to be college and career ready. This course will take teachers through the process of evaluation, elaborate on its guiding principles and criterion, and include strategies and factual information to clearly link teaching quality with student learning. Further, teachers will be shown how to be “participants” in the process rather than being “subjects”. Tips to deal positively with negative feedback are also provided. For students to be truly equipped to succeed in the 21st century college scenario or workplace, they must possess a level of mastery in essential project management skills. This course presents project-based learning as a successful strategy to promote project management skill development in students. Examine how to manage fears and perfect your public speaking skills. Identify and work on specific problem areas and consequently improve your communication skills. Learn to structure your speeches and harness technology to deliver effective speeches. Equips teachers to support student learning through better reading and comprehension across the curriculum and grade levels. Transform teaching practice, and enhance students’ reading levels, by incorporating technology into classroom reading activities. This approach enables teachers to successfully assess available technology, employ it successfully, and help students read with higher accuracy and better comprehension. Provides a basic understanding of warning signs of early-onset mental illness in children and adolescents as well as ideas and strategies that help teachers work with students. Embark on a sustainable professional development journey by integrating successful reflective practices into your teaching. Strategies build on research findings to present reflective teaching as a crucial component in professional development, empowering teachers to make informed decisions about their own learning and every day instruction. Enhance teacher effectiveness by integrating research-based instructional strategies into teaching practices and addressing specific learning areas to improve student achievement. Approaches equip teachers to use recent educational research and developments to cater to their own professional development as well as students’ learning needs. A rubric is much more than an assessment too. Provide quality formative and summative feedback for students at periodic intervals throughout the year by using consistency when grading student work. Teachers use rubrics to grade a wide range of student work including: solo projects, group work, portfolios, homework assignments, book reviews, and tests. Build essential communication skills by learning general vocabulary and phrases that assist teachers with understanding Spanish in the classroom and school environment. Through this ‘primer’ for non-Spanish speaking teachers, educators develop the ability to communicate with students and families who speak Spanish as a first language. STEM integration doesn’t need a huge budget, lots of technology, or a ready-to-use curriculum. It’s something any teacher, any school and any classroom can integrate. This course teaches you how. This course presents resources, research-validated strategies and practical examples to equip teachers with the necessary toolkit to seamlessly turn their classrooms into student-centered environments. Teachers will also learn details principles of Student-Centered Learning, a comparison of teacher-led classrooms and student-centered classrooms, developing student-centered objectives, facets of understanding, practical teaching methods that can be used, and several online tools that will help achieve success. With the effective implementation of portfolios, students can learn to discover their individual talents, strengths, interests, and goals for ensuring success beyond school. The practical tips and suggestions provided in this lesson will take teachers through the process of implementing portfolios in their classrooms, with factual information clearly linking student learning to the actual goal. Teachers will learn to identify possible early signs of suicide and be introduced to tools that may be helpful to students. Creative activities and strategies can help promote safe classroom environments. The course also encourages teachers to work together with their school in initiating and implementing school-wide policies and programs on suicide prevention. Help students to tackle difficult text and understand it better. The strategies in this course help improve learning comprehension and are applicable to all subjects. 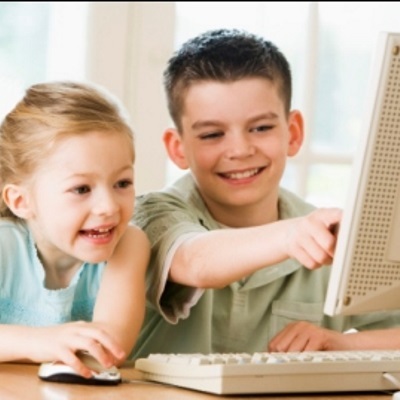 Concepts and ideas behind using technology in the classroom help teachers to understand the various skills that students need to develop in order to use technology in the most effective way. Through the resources, research-validated strategies and suggestions presented in this course, teachers will be equipped to handle tight budgets, and be frugal in their classrooms by turning to alternative resources. Further, teachers will be provided practical tips that will allow them to adopt methods to make the most of what they already have, end up saving money and still have the needed supplies to provide a quality education. 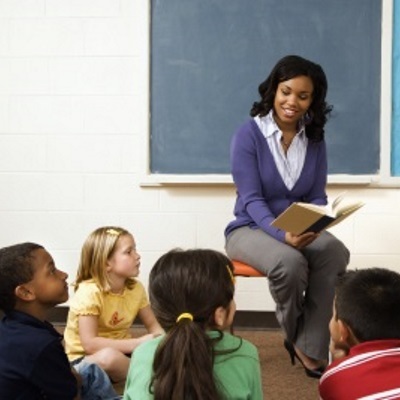 Smart teachers struggle with classroom management. Skilled teachers elect to use strategies that create more problems than they solve. This course focuses on proven ideas that when used, work. Gain confidence in not only accommodating students with ADHD, but also other students who are energetic, hyperactive or have difficulty paying attention. Students retain information faster, grasp concepts more rapidly, and become more enthusiastic about learning when videos are used in the classroom. This course encourages teachers to use of videos already available online and learn to record, edit, create, embed and share videos. The course presents guidelines and practical tips on choosing the right videos to align with learning objectives. This course introduces teachers to the idea of the virtual field trip as a highly effective alternative for enhancing course material. Teachers will familiarize themselves with a tool that integrates technology in classroom instruction. Understanding and using visual materials is an important life skill and advantageous for students. Visual tools make useful teaching aids in the classroom whether they are technology-rich or technology-free. Examples in this course help teachers see how to incorporate visual instruction into lessons, and prepare and present visual teaching aids and assessments for all students. 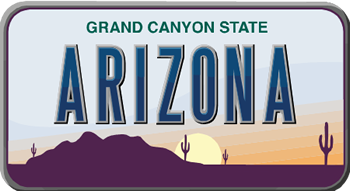 Teachers in Arizona use Professional Learning Board online courses for teachers to meet AZ requirements, keep an Arizona teaching certificate current and renew a teaching certificate in AZ. Incorporate quizzes and a Course Action Plan. Teachers, study at your own pace, complete within 4 weeks and receive 1 semester professional development through a regionally accredited university partner. Professional Learning Board courses align with teaching standards and are designed for teachers across grade levels and subject areas. Professional Learning Board is recommended by school districts and teachers across the country, please ensure the courses meet the requirements of your local authorities to meet your local needs. Click on the course name(s) below to enroll or see the descriptions to the left. The information and courses listed on this page are presented based on the information available at the time of publication. Please note that state licensing requirements and school district approval processes may change and it is the responsibility of each teacher to know their licensing requirements and the process for submission and approval of all professional development and licensing work. Professional Learning Board does not guarantee acceptance by your school, district or licensing authority. Professional Learning Board offers self-paced Graduate Credit classes for teachers that incorporate online content, quizzes, interactivities, instructor involvement and a Course Action Plan teachers can put to use in classrooms with students. Learning takes place asynchronously, at your convenience. May be completed over a period of 4 to 6 weeks. Receive 1 Semester Graduate Credit through your choice of our regionally accredited university partners. This course introduces teachers to STEM and student-centered learning to create and implement a standards-based curriculum. Teachers are then able to customize and differentiate curriculum for each learner acting more as facilitators, coaches and mentors. Protecting children is the role and responsibility of every adult. Be it in or outside of school, educators need to be aware of all red flags indicating a child is being abused.The course Child Abuse Prevention tackles this very sensitive issue and aims to equip teachers with the essentials of recognizing and preventing abuse to maintain safe and secure learning environments. Addressing accommodation, modification, and adaptation of curriculum, materials, and instruction to appropriately meet the needs of teachers and a variety of students. We all know the brain plays a major role in learning, but few are aware of how. In a class where each child differs in ability to learn, it is essential that educators know how the brain is related to the process of learning, in order to help facilitate student performance. Such knowledge will also give the educator an advantage when faced with the challenge of teaching a child with special needs. This course equips educators with extensive knowledge about the process of learning. Schools and educators all over the country are engaged in implementing the Common Core State Standards. This can be a challenge. This three part course is designed to provide teachers the support and confidence they need to implement the standards in their classrooms. The course focuses on practices teachers can use to promote student motivation and self-learning while decreasing and eliminating behavior issues. Teachers learn to assess basic academic skills and identify areas in which students need support. Teachers also learn to develop a process of reflective thinking and becoming sensitive and responsive to the needs and issues of students. The practical examples and techniques explained in this section provide an understanding of the phrase ‘learning while teaching. The implementation of Common Core State Standards across the curriculum provides a real-world approach to learning and teaching. It is increasingly essential for educators to develop students who not only are critical thinkers but innovators as well. This course helps teachers to build up such students. Educators learn about implementing Standard-Based Instruction through STEM, bringing together the benefits and opportunities associated with this new education paradigm and guides teachers to customize classroom instruction so that students develop the skills they need to survive in today’s knowledge-based world. This is extended in teaching educators how they can apply mathematical principles to everyday life. This course also helps teachers evaluate and monitor basic academic skills based on Common Core principles. By completing this course teachers gain the needed confidence to implement common state standards across the curriculum. This course will help teachers to maximize their classroom budget and raise funds for innovative ideas and projects. Teachers will learn to create effective budgets, write grants and create fundraising campaigns while connecting with community stakeholders to support educational endeavors in the classroom. Learning as a community of educators, and from each other is one of the best ways teachers can find encouragement, inspiration and support as they maneuver everyday challenges in the classroom. This course explores research-based strategies in peer teaching and professional development adopted and embraced by schools across the country. Academic achievement has become an important benchmark in education. This course is full of strategies and educational practices that can help improve academic achievement. In addition to classroom tools and ideas, this online course helps teachers analyze student work to identify gaps in their teaching and helps raise academic scores by establishing a culture of inquiry. Diversity is becoming a very real issue in our classrooms today. We have an increasing number of students requiring various learning styles, coming from different cultural backgrounds, and demonstrating ever-maturing attitudes. Reaching Diverse Learners is an integrated course that is brimming with ideas and strategies to help educators maximize abilities and cater to the individual needs of every student. Teachers learn about teaching English Language Learners and prepares you for your multicultural classroom. The course is also full of practical ideas and techniques that will help you as an educator learn to manage your classroom more effectively. Educators with learn concrete ideas and strategies to reach and teach every student in the diverse classroom. Teachers in this course explore approaches to instruction, assessment and evaluation that they can implement in their classroom. This course focuses on practices teachers can use to promote student motivation and self-learning while decreasing and eliminating behavior issues. The strength of an educational institution lies in its leadership, educators and students. This online course is rich in content that highlights changes or initiatives that can be implemented to improve student learning and encourage school improvement. Teachers taking this class can explore strategies for improving their public speaking skills and in turn, facilitate improved communication with audiences. This course highlights the advantages of using technology as both a resource and a tool for educators in their classrooms. The class helps teachers enable safe implementation of technology in classrooms and prevent misuse while promoting effective learning through practical ideas and steps that educators and students can take to ensure safety when online. As educators, we all face situations where we accommodate students with special needs in our classrooms. In such situations, how can we modulate our teaching to ensure that we reach each and every child? This course is designed to help educators encourage and maximize each child’s potential.Terms like Autism, ADHD, learning disability and gifted learners are being constantly used. What do they mean? What makes these children unique? And most importantly, how as an educator can you enhance these students’ learning ability? These are questions that are answered in this course.